Last week was a great week in the garden! 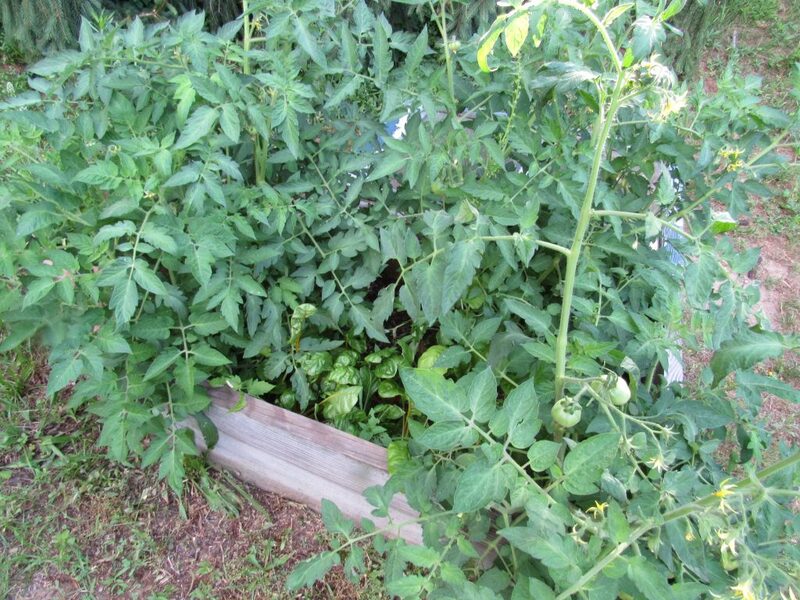 I am still winning the fight against tomato blight. Thank goodness! In the fight against the bunnies, however, I don’t seem to be doing as well and have decided to let them enjoy the Swiss chard crop that’s growing in the cold frame. As you can see the cold frame where I planted Swiss chard had a bunch of sucker tomato plants start growing in it. I didn’t have the heart to pull them and so I’ve got a tomato jungle happening. 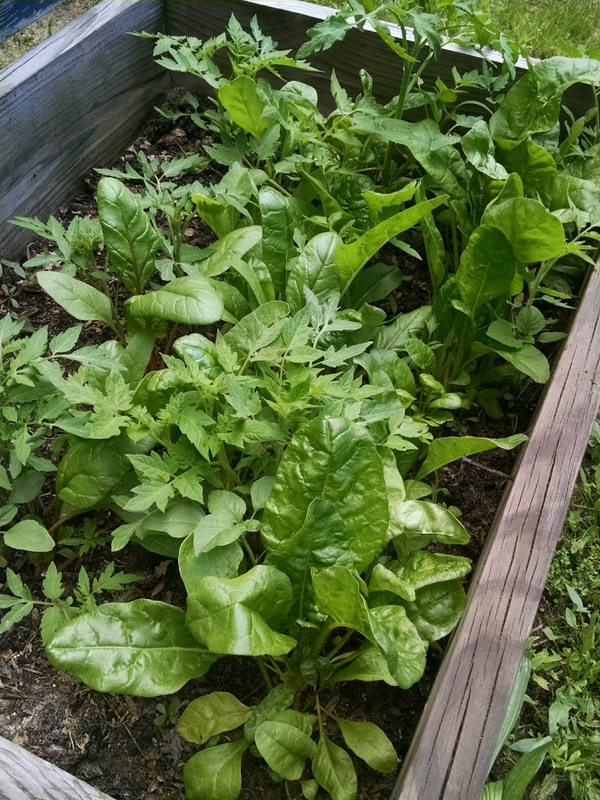 The bunnies hop in, eat the chard and – for now – are leaving the garden alone. 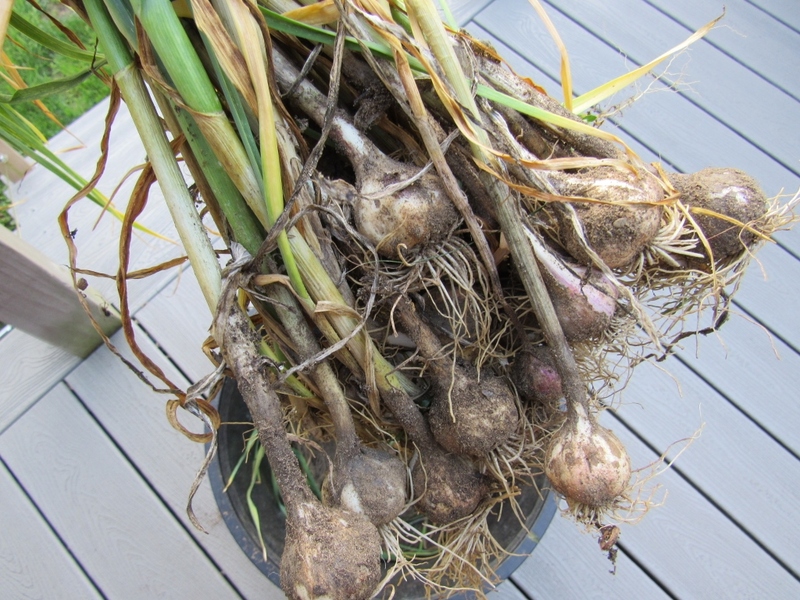 We got a pretty good crop of garlic but the bulbs were kinda small. I suspect it’s because I waited to long to plant them in the Fall so the bulbs didn’t get a chance to develop in the ground before it froze. We also harvested the first zucchini. Always a thrill!!!! SERIOUSLY. Last week’s crop yielded a few handfuls of kale and Swiss chard, one small broccoli head, ONE green bean, two zucchini and garlic. Sounds like soup to me! 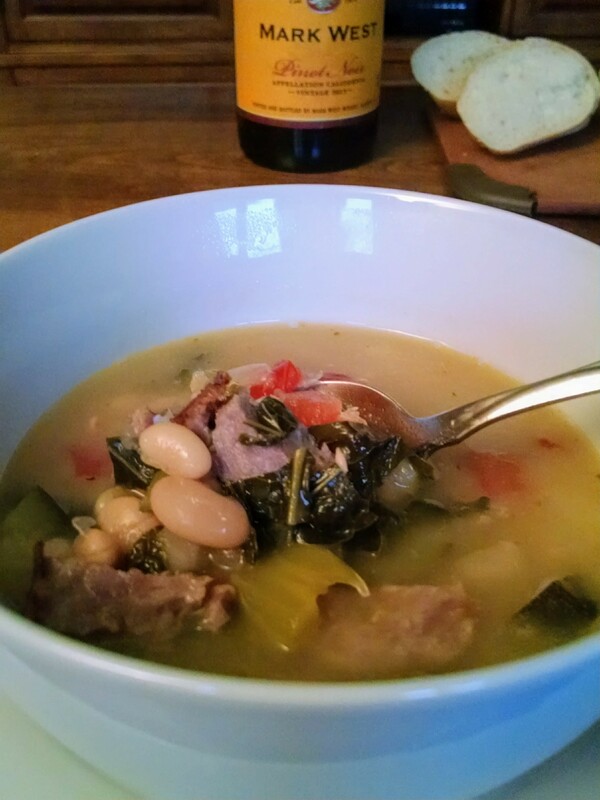 Soup is the perfect way to use up a little bit of this and a little bit of that. Don’t be intimidated. Just go for it. This soup couldn’t be any simpler. I literally chopped up all the vegetables from the garden and tossed into a pot with the stock, sliced up the sausages and threw in the beans. Let it simmer for about an hour and a half. Serve with a baguette and a glass of wine. Easy and delicious!